Thompson-Okanagan: Famed for its vineyards, orchards, lakes and beaches in the summer and snow-covered ski slopes in winter. Nestled between mountains and a huge lake, North Okanagan-Shuswap School District offers students an opportunity to truly experience ‘small town’ Canada. The area features four distinct seasons, natural beauty, and an abundance of recreation, sports, arts and cultural activities. 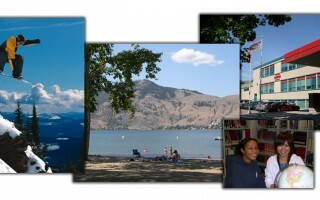 The Okanagan Skaha School District is located between two lakes in the heart of the Okanagan Valley. 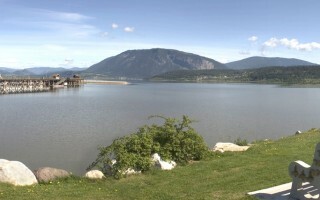 The district encompasses the City of Penticton and town of Summerland 14 kms apart. 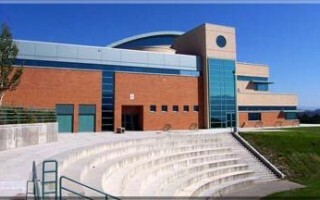 There are three graduating secondary schools, with high academic standards and a variety of arts and sports programs. Our year round advanced Hockey and Baseball Academies are very popular, as well as winter sports at Apex Ski Mountain and Resort which is conveniently accessed by a 30 minute drive from the city. Our district offers students an excellent education and an outstanding homestay experience. Vernon is nestled into the lakes and mountains of the beautiful Okanagan Valley, one of Canada’s most popular year round vacation areas. In addition to one of the best climates in Canada, students come to Vernon to enjoy world class Silver Star mountain, an elite soccer academy and to receive a quality education providing access to universities across North America. 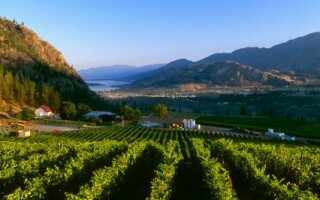 Beautiful mountains, lakes, orchards, and vineyards add up to one of Canada’s top tourist destinations. SD No. 23 is the largest school district outside of the Lower Mainland. All schools in the district are publicly funded, government accredited institutions. Kamloops (population 85,000) is located in the interior of B.C. With over 2000 hours of sunshine annually, the area is a four-season playground, especially with our world-class skiing/snowboarding at Sun Peaks Resort. Come enjoy our intimate and diverse international program.